"The Protestant Revolution - BBC4"
Thankfully not everyone is like "Person X". This wee chorus was recently sent to me by "Mr H", who like me sang it in Sunday School many many years ago. I had forgotten about it until it landed in my inbox last week. If I die as I am..."
Ok, back to the usual stuff. Ulster and Appalachia. 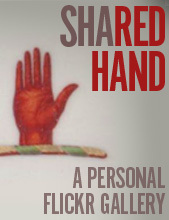 3500 miles apart, yet so similar – in landscape, in culture, in people. 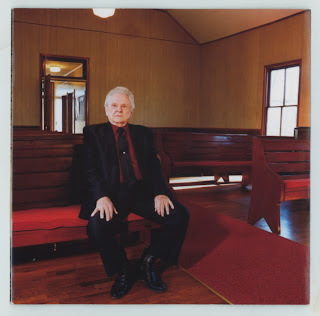 This shot of bluegrass banjo legend Dr Ralph Stanley is in the booklet to his self-titled 2002 cd. The cover and most of the rest of the booklet features black and white documentary-style photography (by Mary Ellen Mark) of Ralph outside the church - a little wooden building propped up on blocks, out in the middle of nowhere. Ralph is wearing a suit and is by himself. It looks like the heart of the Appalachian mountains. 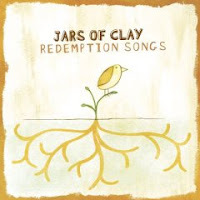 The CD has eleven tracks, four are gospel. It’s a superb album, recorded in the afterglow of his Grammy for the awesome “O Death” that appeared on the soundtrack to "O Brother Where Art Thou? ", the movie that brought bluegrass to the masses worldwide. Maybe theologically the Primitive Baptists and the (Plymouth) Brethren here in the UK are similar, I don’t know for sure. 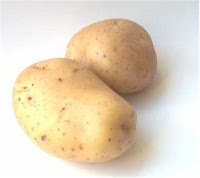 (see here and here. Primitive Baptists have no instruments in their churches. 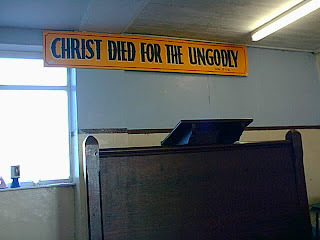 For the Brethren, some gospel halls have an organ or piano which is used in gospel/evangelical meetings (its sometimes jokingly referred to as “the wooden brother”) – but never used on a Sunday morning for the “breaking of bread”. Acapella singing only. A strong preference for the King James Version. No salaried ministers, but voluntary elders appointed from the membership. And, importantly, no centralised organisation. Everything is local. Everything is independent. But what really struck me is that rural Scotch-Irish/Ulster-Scots communities, thousands of miles apart, in a quest for authentic, simple, New Testament worship have used the same style of building. Wooden floor. Single door at the back, right in the middle of the main room. 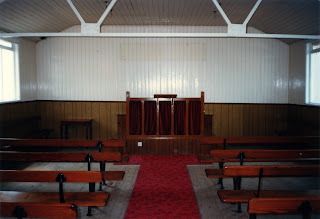 Wooden “forms” (not pews) on either side of a central strip of carpet which leads up to the platform. No curtains (sometimes just simple roller blinds). Praying, preaching and singing. No art. No decoration. Just the people and the Word. 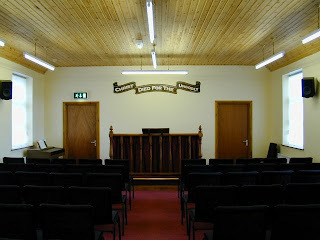 Today there aren’t many of the original, traditional gospel halls or mission halls left in the Ards. Most have been replaced by (sometimes expensive) modern buildings - Killaughey Mission Hall (near Ballycopeland Windmill) and the People’s Hall (beside Portavogie Harbour) might be the only two old style ones left. But some of the newer buildings have also been designed simply and have much of the spirit of the older ones – Maranatha Hall in Carrowdore is a good example of this (top pic of the four below. The hall is run by my da, Ronnie Wilson and Stephen Jamison. Graeme teaches Sunday School here too) The second pic here is of the platform of the old Carrowdore Mission Hall. The important thing of course is that whether the building is old or new, the message is still the old fashioned gospel. I say that because every day the counter on this blog goes up by about 20-odd visits, but only the dedicated few actually post comments. Sometimes people will say to me in passing "oh, yes I saw such and such on your blog a few days ago", and it takes me by surprise because I never really thought that person would even be remotely interested in my ramblings. Anyway, I had a conversation today with Person X. Person X was a bit sensitive to my last two posts - because I dared to use the word "Protestant". Person X thought that in our new shiny Northern Ireland, using the "P word" was rather indelicate, and that if I had any sense I should avoid referring to such things. So Person X's advice was for me to deny who I am. What a good idea. Person X also flatly rejected the notion that there was an unspoken theme that Protestants have no culture. So, Person X, I refer you to Exhibit A - Edna Longley's essay entitled "Ulster Protestants and the Question of Culture" in the book Last Before America, published in 2001. In the very first sentence, she refers to "...the perceived culturelessness of Ulster Protestants..." and that in Northern Ireland there is a tendency to "...erase the cultural presence and cultural memory..."
"...The name Scotch-Irish is an awkward compound, and is in many quarters condemned. Curiously enough, there is no one who seems to object to it so strongly as the Irish Catholic. 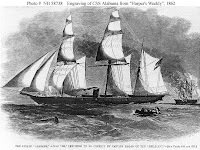 While his feelings toward the “Far-Downer” are certainly not affectionate, he is nevertheless anxious to claim him, with his deeds and trophies, as simply Irish, and grudges to Scotland the claim to any share in producing him. It must be admitted, however, that there is a point of view from which the Scotch-Irish may be regarded as more Scotch than Irish. The difficulty might be compromised by calling them Ulstermen, or Ulster Presbyterians..."
So no doubt Person X will be upset by this post too, but we have to stop walking on eggshells and recognise the reality we live in. 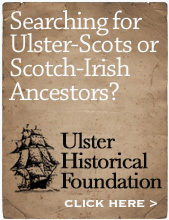 There is a widespread view that Protestants have no culture, and there is a tendency, or maybe even an objective, to airbrush Ulster-Scots people away (as Fiske says) "as simply Irish". Neither situation is true, but both are prevalent and should be set straight. In his great book on the subject, American musicologist Bill C Malone defines the core of old-time country music as "...rural folkways, evangelical Protestantism and political individualism..." Amen to all three! He also writes about the American musical scholars and song collectors (he calls them "the apostles of high culture") of the late 1800s and early 1900s deliberately ignoring gospel music, and choosing to focus on secular ballads and instrumental tunes. Kinda reminds me of the notion that was dominant in Northern Ireland when I was growing up, which to put it bluntly was "Prods have no culture". What the people who spout such nonsense really meant was "Prods have no culture that suits my personal tastes or prejudices". These people would feel very comfortable supping a Guinness in the west of Ireland in some country pub, with an aran jumper and a copy of James Joyce. But can you imagine them in rural Ulster, neatly dressed in their Sunday best, with a worn Bible, and a well-thumbed oul hymnbook, and when the meetin is over enjoyin a cup o' tay and a wheen o' egg an onion pieces? (by the way, the egg and onion sandwich is Protestant Ulster's true national dish). The mission hall / evangelical scene in Ulster even today still has some of the most brilliant gospel music you can experience. Not the U2/Snow Patrol - obsessed jangly over-amplified "praise and worship" bands living out a rock star fantasy, repeating the same phrase over and over and over and over and over again. 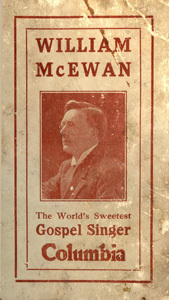 No, the real mccoy, the "Are You Washed in the Blood of the Lamb" stuff where everybody of all ages is jammed into a simple wee hall, singing from their boots, with messages that leave you no millimetre of theological wriggle room and with tunes you'll have stuck in your head your whole life long. The YouTube clip below shows the perfect example of this - "I Saw the Light" performed by Roy Acuff and Hank Williams. Superb archive footage. Hope you enjoy it. Trust me, no one in Heaven is pondering the wooly sentimentality and false spiritualised intellectual guff of "I Still Haven't Found What I'm Looking For". They're far more likely to be singing with all their might - "Praise the Lord - I Saw the Light"!! And maybe Hank Williams is leading the chorus. (John Killian has a great post about Hank on his blog, here). This is a new 4 part series on the digital channel BBC4. Worth watching. The presenter, Tristram Hunt, recently gave a lecture to the great and the good in Belfast City Hall entitled "Belfast - a Global City", encouraging the "new Belfast" to look back to its Victorian vision as a city of truly global significance. Brian's funeral was last Sunday, near Carndonagh in Donegal. It's a long story, but the good part is that I met his brother Bill, his friend Ivan and one of Brian's clients (incidentally also called Mark). All three confirmed to me that Brian had professed faith as a young man and took part in many beach missions and open air witnessing in his younger life. I had prayed that morning for some sort of confirmation of Brian's faith, and I got it three times over. I was one of the four men who carried his coffin from the church and lowered him into the grave, watching the brass nameplate on the coffin lid getting ever smaller as it descended to the bottom. 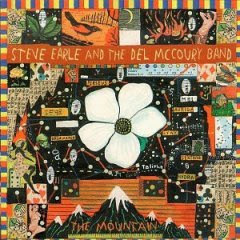 On the nameplate was the quote "I'm just a pilgrim on this road" - a quote from the beautiful Steve Earle song "Pilgrim" from his magnificent bluegrass album The Mountain. Through the ten years of friendship I shared with Brian, I never once considered that I'd be one of the people to put him into the ground. 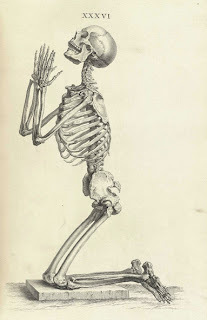 I wonder who will lower me into the earth when my time is done?